When I grew up a 'half-crown' was also known as a 'half-a-dollar'. There were also even smaller denominations than the penny. That should put the difference in the actual purchasing power backwards adjusted to remove inflation into perspective. The "Old" Penny as opposed to the new "Pence" was a huge coin, about the size of a U.S. silver dollar. It actually was costing more than a penny to make a penny at the end of its life! The "pence" is about the same size as a U.S 1 cent coin. 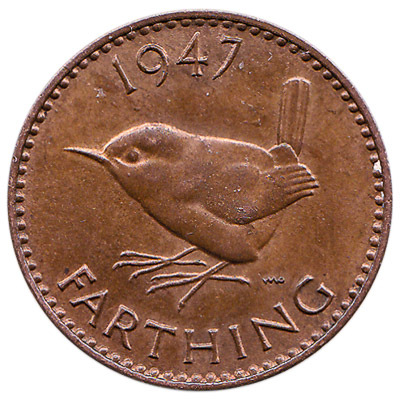 & believe it or not a 1/4 penny or "farthing"
Oh KOOL... Heck I thought Farthing was just slang.. did not know it was an actual amount... And of course where would one of the greatest Christmas / Halloween songs of all time be with out Hapenny.. If you were a British Subject (& could even prove it) you could have one in .303 British, but "dreadful furrriners" & "Fuzzy-Wuzzies" were limited to less powerful "Mid range & Miniature" calibers by order of "The War Office Authorities"! The Farthing was legal currency until (I think) 1961 and I well remember them buying one of the "4 for a penny" Black-Jacks" (Licourice chews). 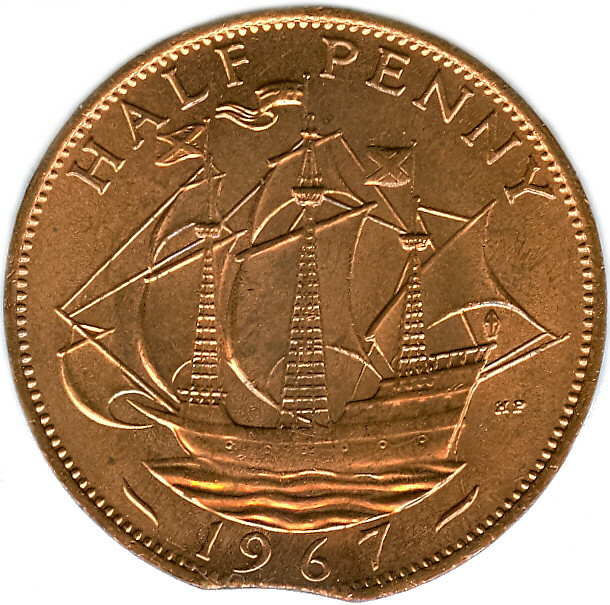 The British half farthing (​ 1⁄8d) coin, usually simply known as a half farthing, was a unit of currency equaling one one-thousand-nine-hundred-and-twentieth of a pound sterling, or one eighth of a penny. It was minted in copper for use in Ceylon, but in 1842 they were declared legal tender in the United Kingdom. In the early - mid 1800 there was also a 1/3 of a farthing which was worth even less. Hi All. This is my first post here. I have been collecting Lee Enfields for some years now and I'm a member of the South African Arms and Ammunition Collectors Association. I have a question. The rifle shown in this thread and those depicted in the catalogue are they not Lee Speed Patents? I have a Lee Speed in my collection, the No4 I'm trying to date at the moment. The OP's rifle may well be, it'll depend on the date. The SMLE in the 1920? ish BSA catalog will be after the patent expired so not really though of as a Lee/Speed, but a Lee Enfield. When did they move the socket markings to the right side? Was that to prevent wearing of the markings when slung by the soldier? And I thought the dollars cents nickels dimes quarters where confusing! Wait till you hear the slang being used. Got change of 5 knickers? Yeah 3 sheets & four half sheets do you? Can you make one of em change for fags? How about a dollar, 2 half dollars & the rest as bobs?